Item # 316396 Stash Points: 3,495 (?) This is the number of points you get in The Zumiez Stash for purchasing this item. Stash points are redeemable for exclusive rewards only available to Zumiez Stash members. To redeem your points check out the rewards catalog on thestash.zumiez.com. 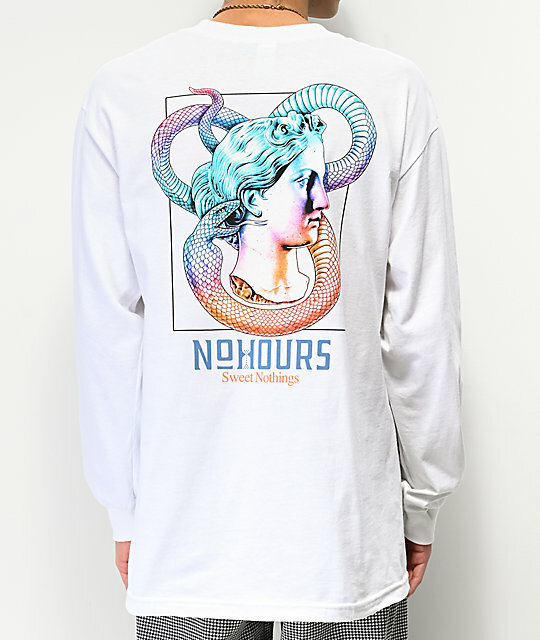 Offering a splash of color to your daily looks, the NoHours Sweet Nothings White Long Sleeve T-Shirt is a great addition to your graphic tee collection. 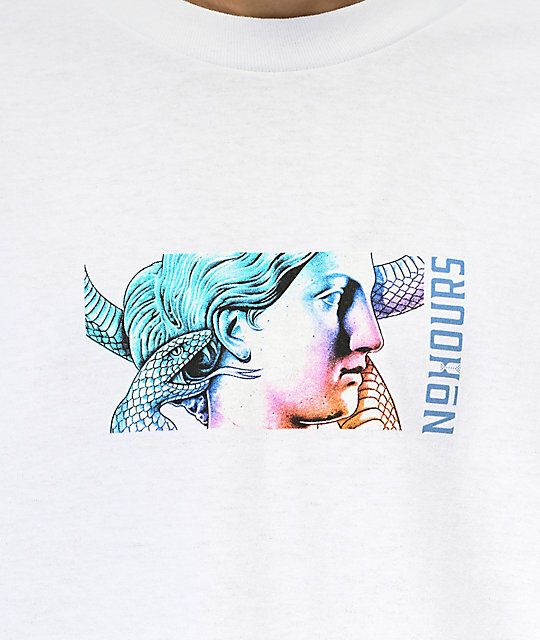 Designed with warm blue and pink hues, the graphic on this cotton constructed tee showcases a Greek sculpture like image of a feminine face accompanied by a large snake located on both the chest and back. 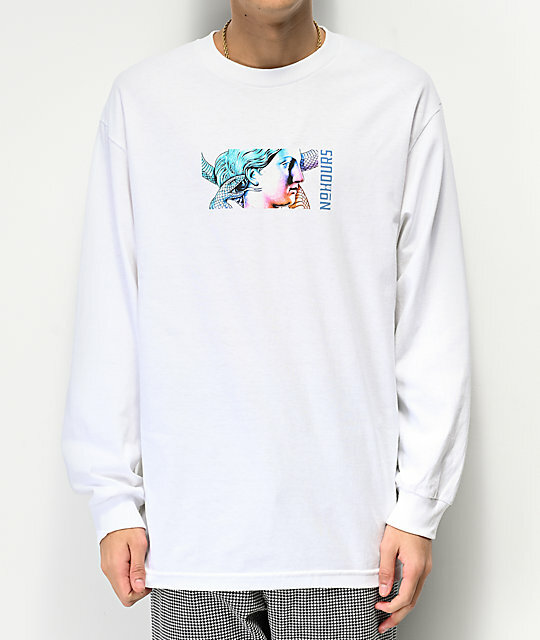 Sweet Nothings White Long Sleeve T-Shirt from NoHours.